Dwyane Wade, the Miami Heat basketball player, has an ongoing feud with his ex-wife, Siohvaughn Funches-Wade, over custody of their two children. Wade received sole custody of the children last year, but the parents' dispute endures. Funches-Wade currently stands accused of attempted child abduction after she allegedly did not return the children to Wade's sister in Chicago so that they could join Wade for Father's Day. The alleged incident and the ensuing criminal matter led a Chicago judge to revise the parents' custody arrangement. The case shows the importance of having a clear, unambiguous written custody arrangement that defines the rights and obligations of both parents, and also provides a definite way to for enforcing them. Wade and Funches-Wade were high school sweethearts in Illinois. They have two sons, Zaire and Zion. The couple separated in August 2007, only three months after Zion was born. Their divorce was finalized in 2010, and the court awarded sole custody of the children to Wade in March 2011. The judge's 102-page custody ruling had harsh words for Funches-Wade, as well as a complex set of provisions for support and custody of the children. The judge chastised Funches-Wade for trying to "alienate the children from their father." Creating a workable arrangement would be difficult in this environment. She ordered that Funches-Wade would have "regular parenting time" every other weekend in Miami, and on other specified times throughout the year. Because Wade lives in Miami and Funches-Wade had moved back to Chicago, some allowance was necessary for the children to travel between the two cities. The case became complicated on June 16, 2012, when the children were visiting their mother in Chicago. Wade's sister was supposed to pick them up to take them to the airport, so they could return to Miami in time for Father's Day. Funches-Wade allegedly withheld the children from her for at least eight hours. This caused them to miss their flight, so Wade sent a private jet to get them. Funches-Wade was arrested and charged with attempted child abduction. At a June 26 hearing on an emergency motion filed by Wade's attorney, Funches-Wade invoked the Fifth Amendment and refused to testify. The judge ordered all visits moved to Florida, pending a full hearing to determine whether she interfered with a pre-established visitation schedule. Another hearing is scheduled for July 9. Wade has asked the court to transfer the case to Dade County, since the children live in Miami. Funches-Wade has yet to have her day in court regarding the allegations of what happened on June 16. If the accusations against her are proven true, it is not certain that a clearly-worded, detailed written custody would have helped prevent either this or another incident. A well-written, unambiguous custody arrangement can significantly reduce or prevent misunderstandings as to who has custody rights of the children, and at what times. What a written child custody arrangement cannot do, unfortunately, is prevent parental abduction (alleged in this case). All it can do is provide for enforcement and remedies if such an incident does occur. The Miami child custody attorneys at Vilar Law help people through some of life's most potentially traumatizing experiences, with consideration of the financial and emotional turmoil beyond the legal issues. 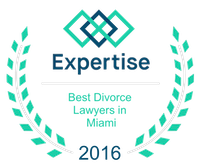 To schedule a confidential consultation to discuss your case, please contact us today online, or call us at (305) 373-8000. Photo credit: 'Dwyane Wade' by Keith Allison from Baltimore, USA (Dwyane Wade) [CC-BY-SA-2.0], via Wikimedia Commons.